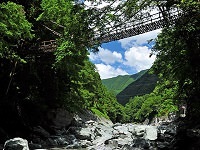 Amagoi Falls in Tokushima is considered one of the top 100 best Japanese waterfalls in Tokushima Prefecture. The falls are sometimes called the Couple Waterfalls because there is a Husband and Wife set of falls. 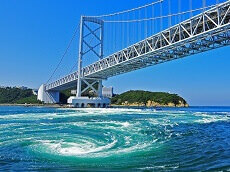 The Wife stands at 45 meters tall (147 ft) while the Husband stands at 27 meters (88 ft). 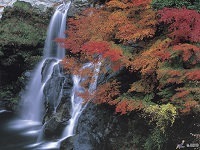 Visitors will have to take a short hike up the mountain and pass through a few other falls before reaching Amagoi Falls. The name itself is said to come from olden times when farmers and people would pray for rain. Amagoi translates to Pray for Rain and it's said there is a ritual the farmers used to hold in hopes for rain. 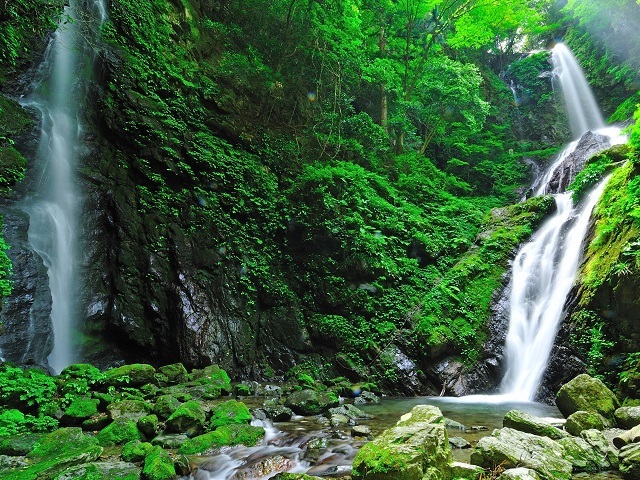 If it's rain you want, then add Amagoi Falls in Tokushima to your Japan Tour in hopes for some rainfall when you return home!